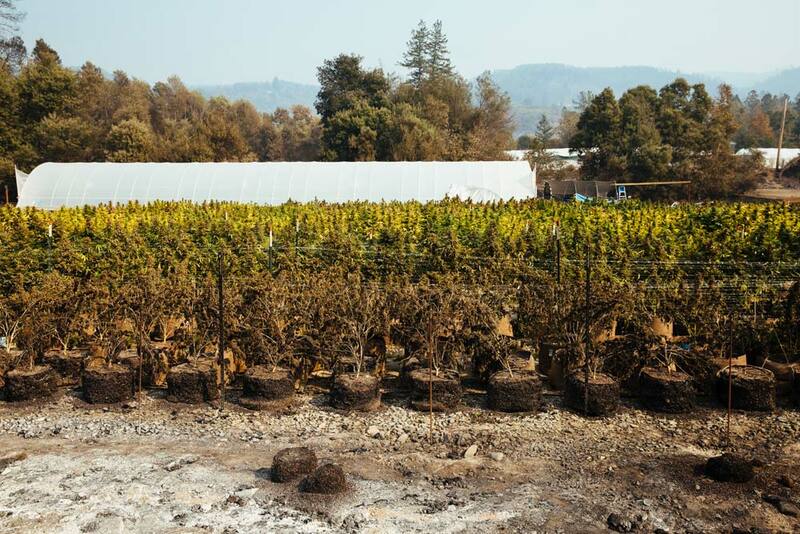 At least 34 marijuana farms suffered extensive damage as the wildfires tore across wine country and some of California’s prime marijuana-growing areas. The fires could present challenges to the scheduled Jan. 1 rollout of legal marijuana sales at the start of an industry that is expected to generate billions of dollars in revenue. In many cases, owners have spent tens of thousands of dollars to become compliant with state law to sell the product. But because the federal government considers marijuana cultivation and sales a criminal enterprise, it remains extremely difficult, if not impossible, for most of the marijuana businesses affected by the fire to access insurance, mortgages and loans to rebuild. Even a charitable fund set up to help marijuana farmers was frozen because a payment processor will not handle cannabis transactions. Cannabis businesses also are not eligible for any type of federal disaster relief, according to a spokesman for the Federal Emergency Management Agency. The fires burned swaths of Mendocino County, which is part of what is known as California’s “Emerald Triangle,” the nation’s epicenter of marijuana growing. It also devastated Sonoma County, which is best known for wine but has seen an increase in cannabis farming. The fires killed at least 42 people and damaged thousands of buildings, according to the California Department of Forestry and Fire Protection. Some marijuana farms were completely destroyed, and many others are believed to have been heavily damaged by fire, smoke and ash. Structures used to store dried marijuana burned, as did greenhouses and irrigation lines. Many marijuana cultivators live on their farms, and some homes burned to the ground. Erich Pearson, co-owner of SPARC, a large medical cannabis dispensary with two locations in San Francisco and others north of the city, saw his crops in Glen Ellen, California, about 50 miles north of San Francisco, engulfed by flames after awakening to the smell of smoke. The first thing he saw after getting close to the farm was a metal-roofed barn on fire. It was filled with marijuana harvested to sell on the legal market. “We lost everything we harvested to date, and had significant damage to what’s left,” he said. There is concern that what has been destroyed, as well as the damage from smoke, ash and lack of water for crops that did survive, could seriously impact the supply for customers when marijuana is legal for sale. The fire has compounded existing problems with the initial start of sales because of a regulatory mess: Many municipalities and the state have not released draft regulations for how businesses must comply with the new law. Businesses in some places, including San Francisco, are not likely to be able to open Jan. 1. Chiah Rodriques, chief executive of Mendocino Generations, a marijuana collective in Mendocino County, said that most of the 40 farms she works with were only about 25-to-50-percent harvested when the fires broke out earlier this month. About a quarter of the farms were affected by either fire or smoke, she said, and just 10 of the 40 have the local permit necessary to become compliant with the state, though all are working toward them. None of them have crop insurance, she said. Rodriques said that the fires could lead to less usable marijuana on the market come January. 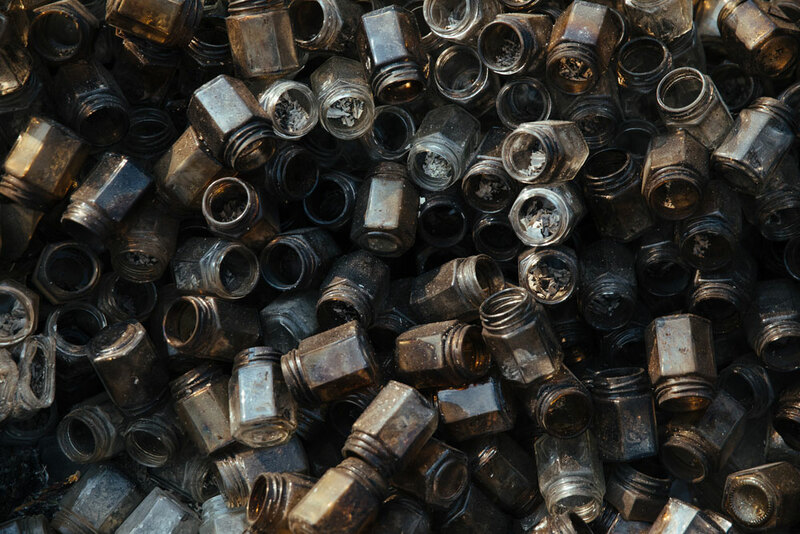 The one saving grace might be to repurpose affected plants and use them for cannabis oil and other tinctures that can be sold at dispensaries. The oils are far less lucrative than the flowers, the part of the plant that is consumed – and this year was expected to be a bumper crop. “You’re looking at the difference between $800 to $1,500 a pound to now getting $100; it’s a huge blow,” she said, especially when farmers have spent so much money trying to become compliant with laws. “These people put everything they had into paying for this fee and this tax and this permit and this lawyer, one thing after the next, and to have this happen right when it’s finally harvest is huge,” she said. Pearson carefully selected the seeds and genetic strains for the cannabis he planted in February on part of 400 acres he shares with 11 other farmers. He is now starting from scratch: finding new seeds and securing greenhouse space to grow the new plants. He had submitted all of his permits to become legal under the county and state’s new regulations. Ashley Oldham, owner of Frost Flower Farms in Redwood Valley, California, did something very out of character: She left her cellphone at a friend’s house the day the fire reached her. A neighbor pounded on her door in the middle of the night as flames surrounded her home, saving the lives of Oldham and her 4-year-old daughter. Oldham’s house was destroyed, but her greenhouse stayed intact, in part because she hiked through what looked like a “post-apocalyptic disaster zone” to check on her property after the fire passed. She said that emergency officials initially did not allow marijuana farmers to check on their crops, as is allowed for farmers of other agricultural products. When she arrived at the farm, she used a neighbor’s hose to wet down a large oak tree that was ablaze, saving her greenhouse. Oldham has been okayed for a legal permit in Mendocino County, spending “a lot of money” to come fully into compliance. She estimates that she lost about 25 percent of her crop to wind damage, and much of it looks burned. 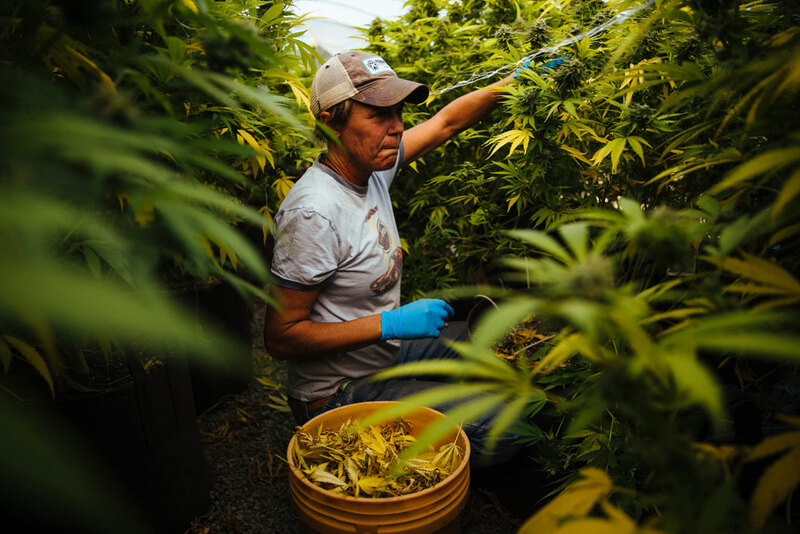 She and other cannabis farmers must have their crops extensively tested under California’s new regulations, and most people don’t know what impact smoke or burn damage will have. “We’ve never experienced this and I don’t know what to expect,” she said. She said that she will not be able to recoup the full value of her house through insurance because she grows marijuana. Half of the crop was destroyed earlier this year due to russet mites, and now she thinks much of the other half will be lost to fire. Some was harvested, and she’s hoping that it will allow her to break even. Schindler calls marijuana a “holy plant” that she’s farmed for years, selling to medical dispensaries.